Coimbra del Barranco Ancho is the name given to an archaeological site in Jumilla which contains the remains of an Iberian settlement dating from the 4th to the 2nd century BC, and which consists of a main walled residential area, a sanctuary or place of worship and three burial grounds. 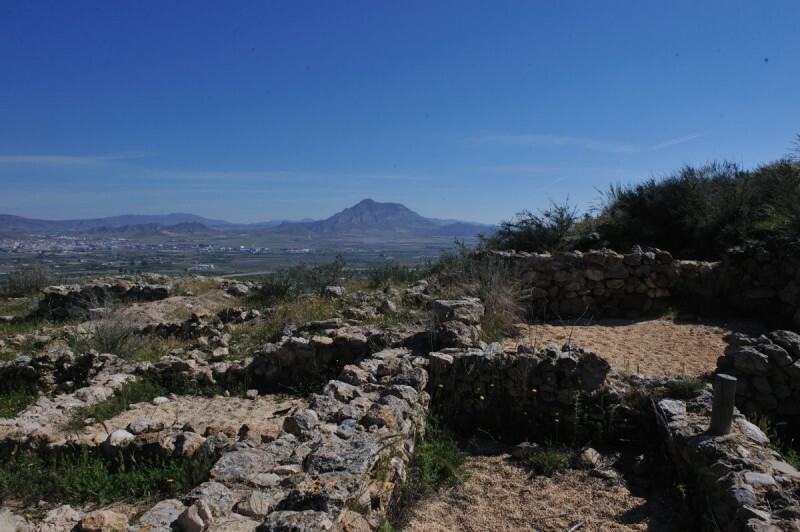 The site lies on the hill known as “El Maestre” in the foothills of the Sierra de Santa Ana at an altitude of 780 metres above sea level, some 4.5 kilometres as the crow flies from the modern-day town of Jumilla. 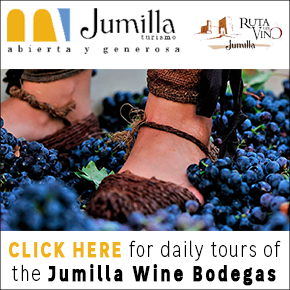 It is close to the Monasterio de Santa Ana del Monte, a popular place to visit on account of the wealth of artwork contained in the church and the spectacular panoramic views out over Jumilla and beyond. The settlement is surrounded by stretches of defensive wall and natural protection, making it clear that the location was chosen with defence in mind, and an idea of the scale of the site is given by the fact that the perimeter measures around 3,000 metres in total. Within this area it is still possible to identify the remains of some houses and rooms, some of which have been partially excavated, and the site is littered with ceramic shards. There are known to have been two main entrances, one on the eastern side, flanked by two towers, and one on the west through the gully which gives the site its name. Inside this perimeter wall was the first line of housing, which in essence also constituted a second line of defence. The 80 or 90 dwellings, home to approximately 500 inhabitants, were terraced up the hillside and were thus partially under the ground, and in very general terms a criss-cross street pattern developed. No open spaces or public squares have yet been identified. Individual homes were generally rectangular and made out of adobe walls on a stone base, with rooves made from straw, mud and branches. An ingenious rudimentary drainage system was used to ensure that rain was carried out of the buildings through small channels on the floor. 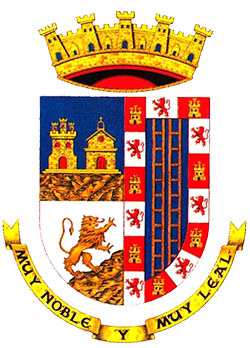 At the eastern end of the settlement is the main necropolis, or burial ground, while others located nearby are those of "La Senda", which is on the path between the settlement and the Monasterio de Santa Ana, and “El Barranco", which is outside the walls of the settlement. At the El Barranco site the graves are well constructed and contain ceramics decorated with human figures and geometrical patterns, while the 47 graves found at La Senda all date from a short period in the first half of the 4th century BC. At the main burial ground, though, the 100 or so graves have shed a great deal of light on funeral practices in Iberian society, and the most important finding is the memorial stone known as the “Cipo funerario de los Jinetes” (grave number 70): this is decorated on three sides by images of figures on horseback images and on the fourth by a farewell scene. The graves range from simple oval-shaped niches to far more grandiose tumular burial chambers, some with steps, although the most common are those with stone sides measuring between one and two metres. This burial ground was discovered quite by chance in 1979, and has been only partially excavated. Erosion has caused the ceramic fragments to be dispersed over a wide area, and it is considered unlikely that any further important discoveries could be made by further digs. Apart from the burial grounds, there was also a place of worship, or sanctuary, where the only structural remains found are various items made of terracotta. Many of these are on display in the "Jerónimo Molina" archaeological museum in Jumilla along with grave goods such as an urn for holding cremated ashes, ceramics, weapons, jewelry and the Cipo de los Jinetes. Excavation of the the Coimbra del Barranco Ancho site was started in the 1950s by the man after whom the archaeological museum is named, Jerónimo Molina, and was continued in 1977 by Ana María Muñoz Amilibia until the responsibility was taken on by José Miguel García Cano in 1985. The site is permanently open to the public (without guided tours or explanations), and is accessible on foot on a path which was repaired, restored and improved in 2018). 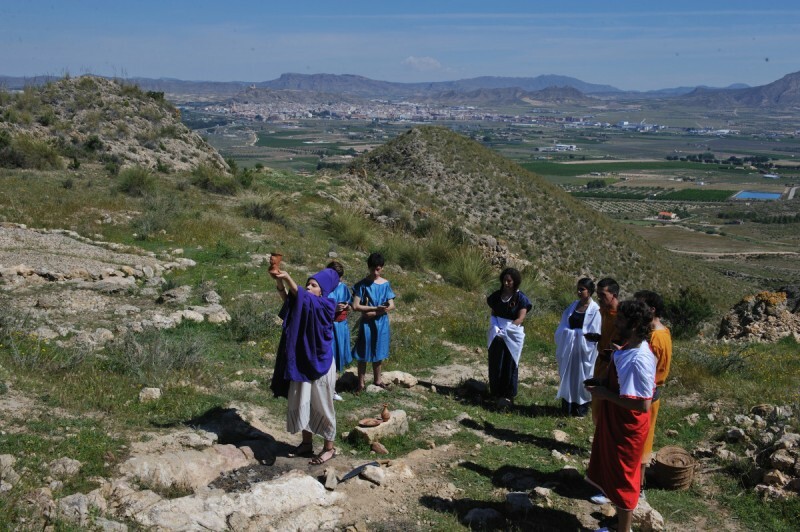 In addition, open days are held every year during the annual excavation (generally in early September), and the tourist office runs guided tours. Every year there is one dramatized guided visit, during which actors recreate the funeral rites which may have accompanied burials, using reproductions of the ceramics found at Coimbra del Barranco Ancho.